With tens of thousands of LED panels manufacturers as well as suppliers in today’s marketplace, it might prove hard to choose the best ones. As such, you must be careful, especially if it is your first time with the LED revolution. A quick glance should offer you the LED insights so as you can pick exclusive LED products capable of saving a substantial amount of power and even last longer. So, the following factors should be of help to you in deciding the best LED panels that can serve you for many years to come. The LED panel’s quality is dependent on the light guide plate along with its driver. The light guide plate determines the light transmittance as well as power conversion efficiency. The power factor and the lifespan of the whole light system are determined by the driver. As such, it’s vital to ensure that you don’t compromise on the quality of these two important factors when purchasing panels. 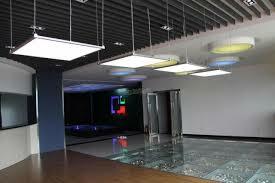 For instance, the 600×600 led ceiling panel has been manufactured with precision to serve you for years to come. • Selecting LED light guide plate: Go for panels that feature light guide plates and those with PMMA light guide plates after only half year of usage, such as the 600×600 led panel. Well, PS materials are popular in most countries across the globe, thanks to their affordability. However, it can easily turn yellow and get dark spots –something that can decrease the panel’s power conversion efficiency. Moreover, PMMA material has an ant-aging and possesses superior light transmittance capacity as compared to PS materials. 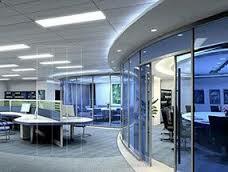 • Selecting LED light panel driver – Large driver cripples are the major cause of LED light flickers. Typically, a superior PF value must come with a flicker, which cannot be detected by a naked human eye but. Since a low PF value driver utilizes lots of energy as well as power, a predetermined PF value is needed on LED drivers (typically 10+w panel lights). Due to the high cost, existing drivers with high PF value mostly have flicker. The following factors should also be considered before purchasing LED panels for your specific needed. Go for LED flat panel lights (like the 600×600 led panel) that utilize aluminum housing (environmentally friendly) featuring rapid heat dissipation, anodized, as well as anti-corrosion properties since they are long lasting and have superior performance. Some of the shortcomings of inferior aluminum panels are low heat dissipation capacity, general weakness, reduced chip life and rapid fading light. You should ensure that your manufacturer has conducted aging and electronic load tests on the LED panels. This is to ascertain whether the panels can bear extreme temperatures (101℃-138℃). Panels that pass this test tend to perform better, are safer, and stable, which makes them long-lasting. You can count on panels like 600×600 led ceiling panel when it comes to bearing extreme temperatures. Insurance is meant to protect LED panels against manufacturing defects and assure you of the product warranty. The manufacturer in question must offer you full support when it comes to warranty claims and subsequent repairs/ replacements. • The DLC is under 4.0 standards.